After years of observations, research and personal frustration with the lack of options available to reduce social isolation and connect families, the founders of CareVision set out to develop a robust, user friendly, and scalable solution. The aim was to reduce social isolation, through connecting families in a fun, useful and engaging way, while enabling care organisations to deliver support programs in a more scalable manner, and build stronger communities of care. 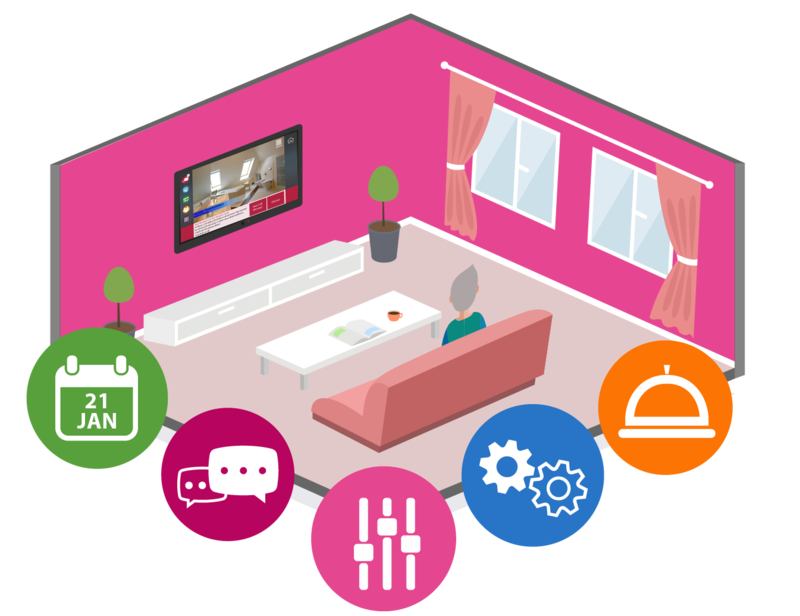 The CareVision Digital Concierge platform across TV, Tablet and Voice reconnect families across the world and reduce the isolation faced by elders all over the world. SOCIAL ISOLATION HAS DRAMATIC HEALTH CONSEQUENCES AND IS A GROWING CONCERN FOR OUR AGING POPULATION. Imagine not having anyone to talk to, no one to say good morning to when you wake up, or good night to when you go to bed, imagine not having anyone to eat meals with. Sadly this is a reality for many seniors. In Australia people aged 65 years and over that live alone spend on average 11.5 hours by themselves each day. This is more time than most people spend at work and is most of the waking hours in a day. Social isolation is not just sad, it also has serious health consequences for those affected and even greater costs. This eBook has been created to highlight the issues of social isolation and call for healthcare organisations and family members to find adequate solutions to stop social isolation for those in their care. To get involved, raise awareness and stay informed please connect with us by using #StopSocialIsolation on social media. considerably different meanings and measures. Social Isolation is quantified by the number of times an individual engages with another person in any form of social interaction. Another objective measure of social isolation is the size of an individual’s network of relationships. 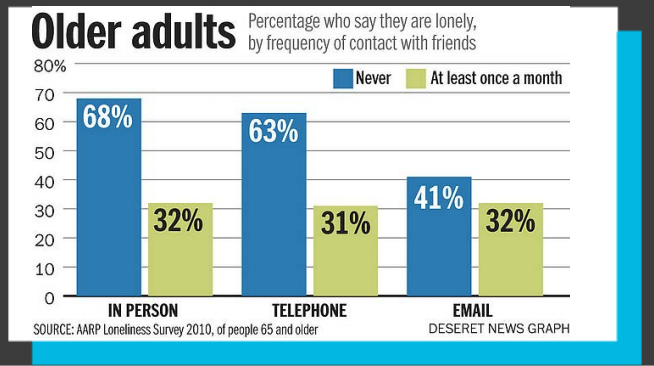 Where these numbers are low, social isolation is said to exist. Social Isolation may be a choice by some, who choose to live happily in solitude. However even when social Isolation is a result of choice, the negative affects still exist for these people. The unfortunate truth for most older people is that Social Isolation is not a choice and for these people the negative affects are compounded. Loneliness is a highly subjective measure of an individual’s perception as to the quantity and quality of relationships that are in their lives. Loneliness is defined by those situations where the number of relationships is smaller than expected or the quality of the existing relationships is less than desired. As such an individual could have a large number of social interactions and not be defined as socially isolated, but still feel lonely because they desire more quantity or quality of relationships. While social isolation and loneliness are independent concepts, there is a strong positive correlation between the incidence of social isolation, and feelings of loneliness. In one of the most recent and comprehensive longitudinal studies into the correlation between social isolation, loneliness, and poor health, the English Longitudinal Study of Ageing, it was concluded that after adjusting statistically for demographic factors and baseline health, “social isolation remained significantly associated with mortality” while ‘loneliness was less associated with mortality. 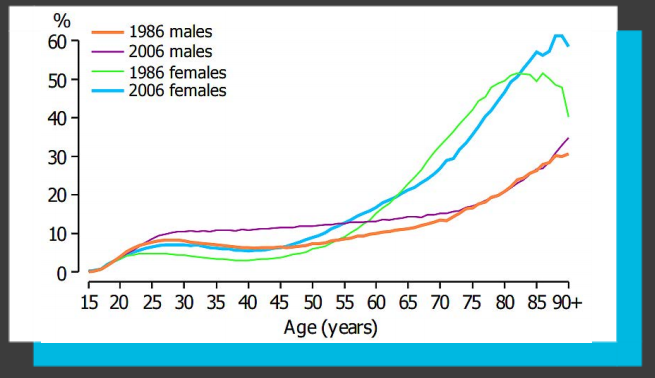 Social isolation can occur at any age, however research shows that it is highly correlated with our age. There are a number of reasons that contribute to increasing social isolation as people age, from mobility, living far from family, lack of familiarity with new technology and communication channels, and death of a partner or lifelong friends. WHY IS SOCIAL ISOLATION AN ISSUE? Social isolation is occurring at an increasing rate for our elderly loved ones, however, why is it an issue deserving of so much more attention? When we are socially isolated there is a chemical reaction that occurs in our bodies. Studies by John Cacioppo from the University of Chicago showed social isolation affects gene expression and the bodies ability to effectively control dopamine production. The net result of the affected gene expression and hormone production is decreased inflammatory control, immunity, sleep salubrity, and ultimately higher rates of morbidity and mortality in older adults. Social isolation can increase an individual’s likelihood of developing dementia by 64%, and increase their likelihood of dying earlier by 45%. Individuals that have strong relationships and frequent contact with family and friends are 50% less likely to die in the same period. In our field studies and interviews with Baby Boomers, more people feared developing and living with dementia and Alzheimers than feared death itself. Avoidable hospitalisation is a great concern for medical systems around the world, evidenced by a large number of studies around the factors contributing to it. In Australia, it is estimated that the cost of avoidable hospitalisations is in excess of $8Billion a year with people over the age of 75 accounting for close to 40% of cases. 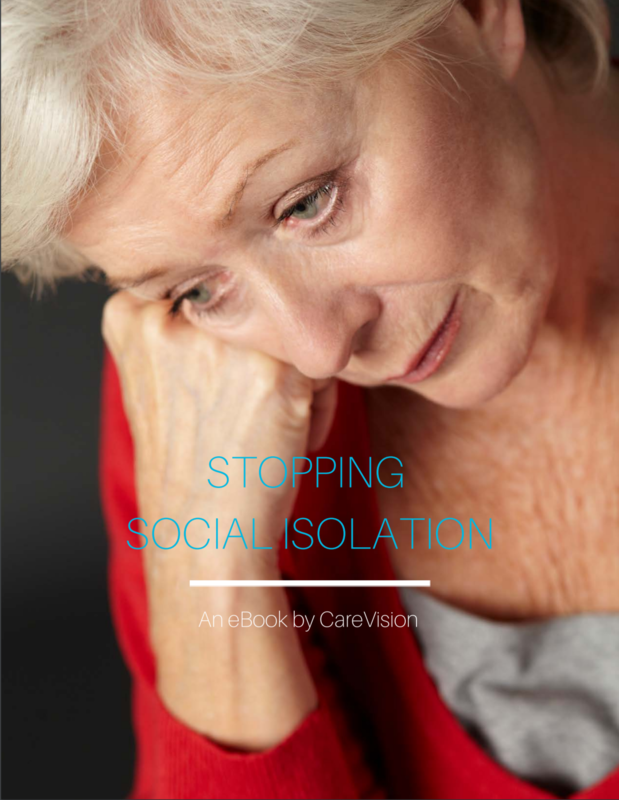 Across all reviewed studies, Social Isolation played a role in avoidable hospitalisations,with a 2013 study in Australia by Longman et al, for the CSIRO, establishing social isolation as the primary contributing factor to avoidable and unnecessary admission. In a 2011 Study published in the Journal of Social Science and Medicine, Heffner et al. found that individuals that were considered most socially isolated, presented twice the indicators of cardiovascular health problems than moderately to least socially isolated groups of people. Over a 15 year period following the initial study more than twice as many people that were in this most socially isolated group died of cardiovascular health related issues. The presence of cardiovascular health issues relating to Blood Pressure are significantly associated with reduced cognitive function, and increased incidence of dementia, compounding the negative health impact of social isolation in old age. As many as 65% of elderly people actively fear falling on a daily basis. Fear of falling can be a cause of social isolation as the individual may restrict their daily activity out of fear. Conversely, social isolation and the increased levels of general anxiety associated with it can, in fact, increase the risk of an individual’s fear of falling. Evidence also suggests that the reduction in dopamine and other hormones associated with social isolation can reduce the cognitive function and alertness of the individual, increasing the risk of a fall occurring. Currently, falls experienced by older people cost the Australian health system over $1.1 Billion a year, with the ageing population this is expected to exceed $1.4 Billion by 2050. Evidence from a range of international studies indicate that 8% to18% of people aged over 65 are socially isolated, jumping to an average of 20% to 25% for people aged over 80. 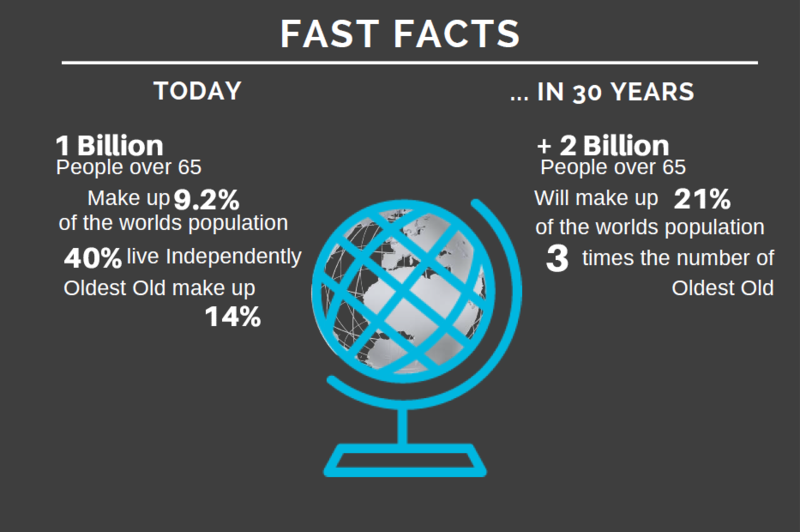 In 2013 there were 3.3 million people over the age of 65 in Australia. If the percentage of social isolated individuals is consistent for each state then this would mean that approximately 247,500 people in this age group feel socially isolated. If this issue is not addressed this number could increase to over half a million by 2040. The numbers in fact may be higher than this, a study by the European Centre for Social Welfare Policy and Research, found that one in six people or 15-18% aged over 65 years where socially isolated. This ratio becomes even higher for individuals aged over 80, with around one in five having no friend and very limited social interactions and one in four reporting feeling lonely. were also consistent with findings reported for Finland and Great Britain. WHAT ARE THE COSTS OF SOCIAL ISOLATION? The true cost of social isolation is hard to quantify; the human impacts and reduced quality of life are immeasurable. From a personal costs perspective, the ASPIRE trials showed that isolation or loneliness almost double a person. Currently, a person in an Australian capital city will pay between $100 and $380 per day while in a care facility, in addition to a large lump sum bond of $250,000to $450,000 on average. In many cases, these costs require the person to sell the family home in order to liquidate assets and cover the cost of care. As people live longer and grow older, retirement savings need to stretch for longer, existing support services and infrastructure are under fiscal pressure from increasing demand further driving up costs pressures that are increasing the cost for families and government. The heightened demand has also resulted in extensive waiting lists to get the opportunity to enter residential care, often taking 12 to 24 months. In the UK a survey conducted indicated that at least 1 in 10 visits by elderly people to the GP were motivated by loneliness putting an extra strain on GP resources and allocation of time with patients. spend we do know that the increased risk of developing dementia, cardiovascular disease and increased risk of risk of avoidable hospitalisation are not small or inexpensive issues. In addition Social Isolation has also been shown to reduce the effectiveness of treatment for chronic illnesses further increasing the cost of care. Dementia direct care expenditure in Australia was approximately $4.6 billion in 2009-10, and it is expected that by 2060 the spend on dementia is estimated to outstrip that of any other health condition. 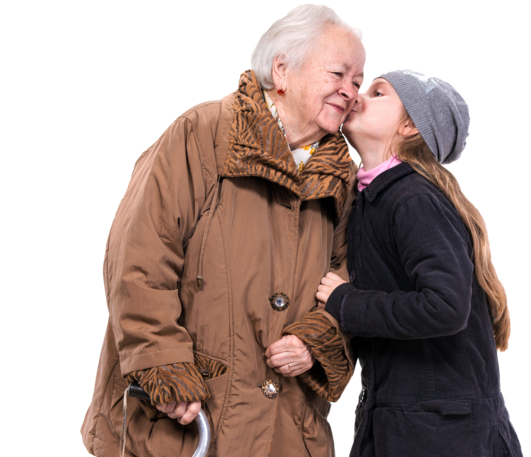 While there is currently no cure for dementia it appears that a strategy to help prevent the onset of the condition would significantly reduce the escalating cost of care.